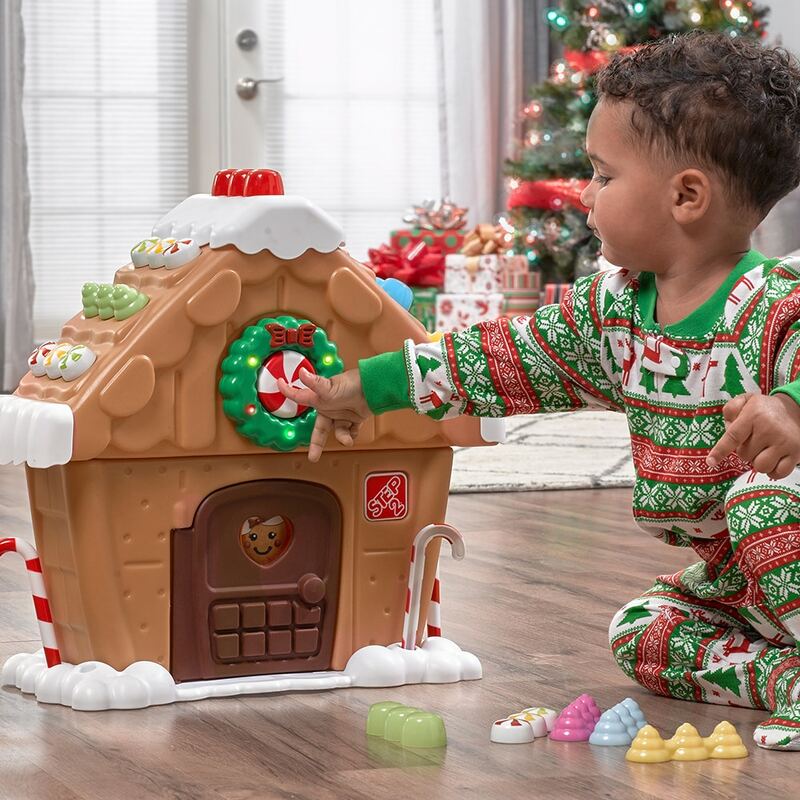 Popular Toddler Holiday Toys - Where to find the Step2 My First Snowman, My First Christmas Tree, My First Gingerbread House + More! 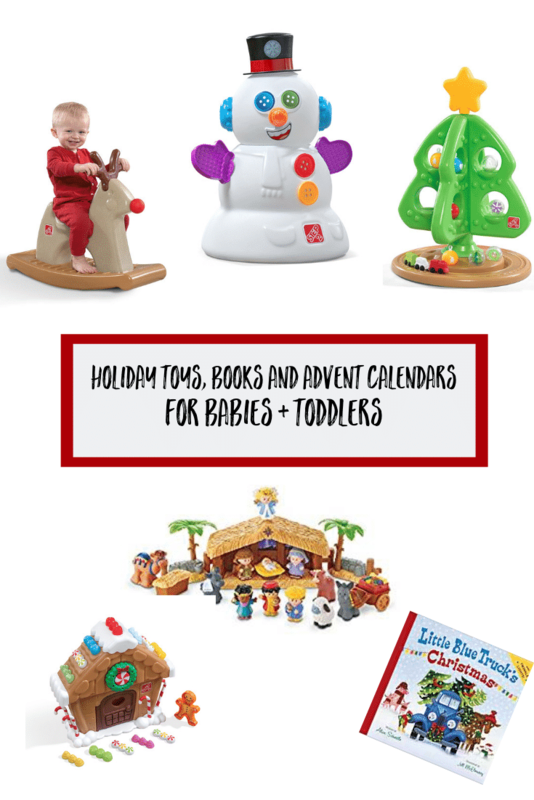 Popular Toddler Holiday Toys – Where to find the Step2 My First Snowman, My First Christmas Tree, My First Gingerbread House + More! We’re sailing in to September and as usual, the Holiday buzz is starting. This is when the newest and “hottest” toys are being released, some if just for pre-order. 2018 Kid’s Toy Advent Calendars are also starting to pop up. We have our Amazon lists of Hot Toys, Advents Calendars and Gifts up and going here! With so many families following the advent calendar tradition, many of our group members have been asking about Baby & Toddler Advent Calendars. Admittedly, the pickings are slim for Baby & Toddler Advent Calendars. Twenty four days of small treats just doesn’t click with a baby. 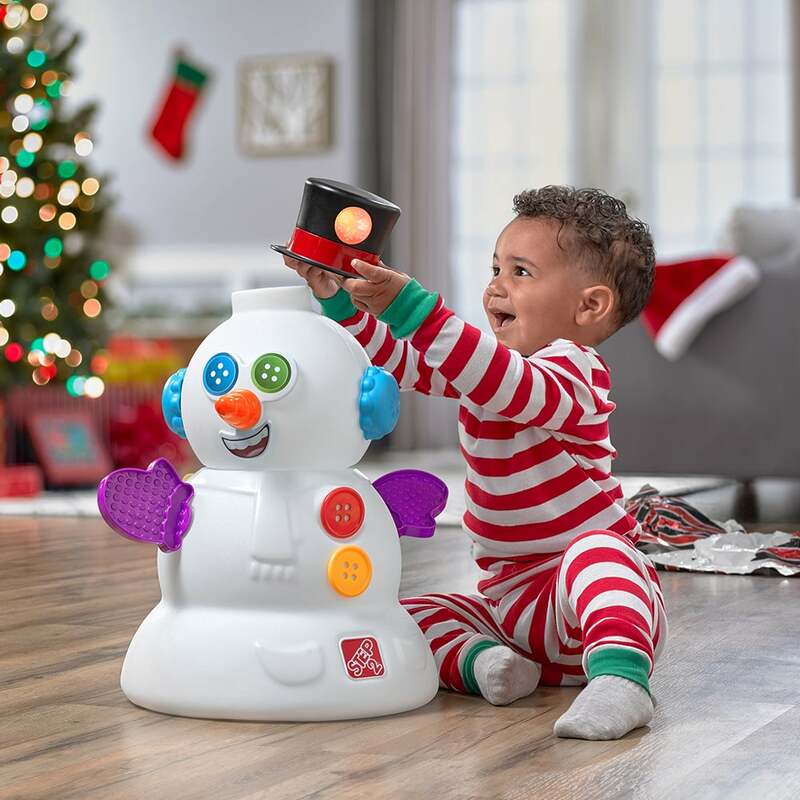 There are a couple options, but some of the newest baby & toddler holiday toys for 2018 are pretty cool (and popular). In particular, Step2 has released a couple of new holiday toys for toddlers that are creating quite a buzz. You may remember last year that the Step2 My First Christmas Tree was both popular and very hard to find in stock. This year they have added the Step2 My First Snowman and the Step2 My First Gingerbread House to the line. In addition, there is now an Amazon Exclusive Step2 My First Christmas Tree and what appears to be a Walmart Exclusive Step2 My First Christmas Tree. Finally, the original model is still available. So what does all this mean and where can you find these toys? We’ll help you unravel it all. Please keep in mind, stock changes quickly. the best way to be notified of restocks is to join our Kids Steals & Deals Group on Facebook here. Step2 My First Christmas Tree with lights and music – This version appears to be exclusive to Walmart. We have not seen it stocked elsewhere. We haven’t even seen a picture of it. We are expecting it to look like the original, but the star will light up and sing when placed on the tree. It first stocked and sold out yesterday (Sept 9th 2018) and has since restocked twice today and sold out within a couple hours. Chatter in our Kids Steals & Deals Facebook Group would suggest that this is the most popular option. The price is great too! 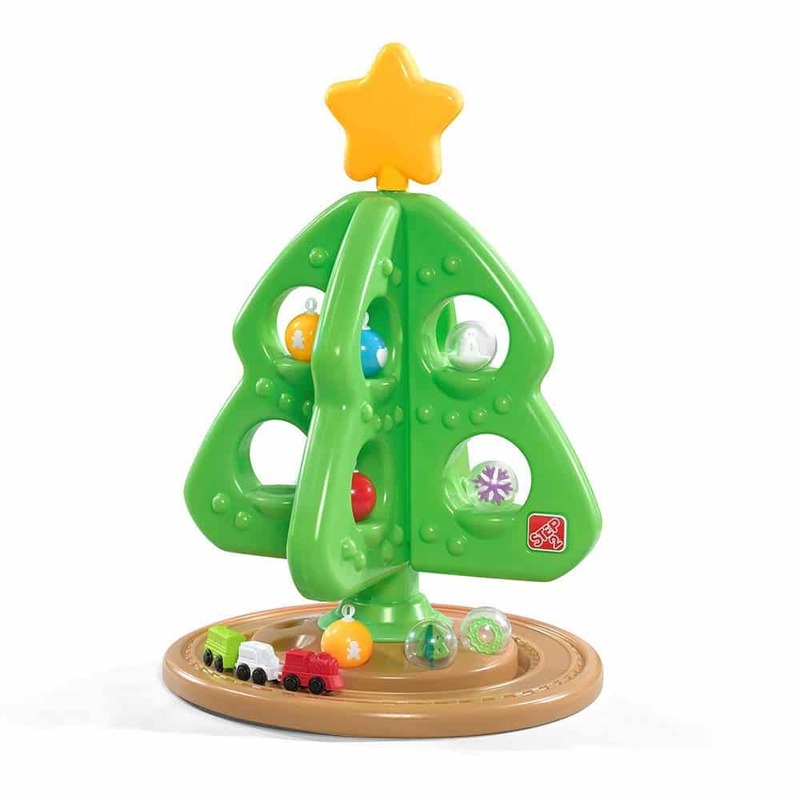 The Step2 My First Christmas Tree with lights and sound is selling for $44.99. When stuff like this loads, I always post to our Facebook page and private group. You can join the group here. Step2 My First Christmas Tree with bonus ornaments (shown above)– This version is exclusive to Amazon. It looks like the original, but comes with a special bonus pack of 4 clear ornaments. It’s been coming in and out of stock periodically here. Retail price is also lower than original retail at $39.99. Before the tree with lights and sound popped up yesterday, this was quickly selling out every time it stocked. We still expect it to be popular. The original Step2 My First Christmas Tree is still available. We aren’t really sure why it is being sold for $49.99 when the newer toys with more features are $10-$15 less. Regardless they are consistently selling out. I’m assuming many people don’t even know about the other options. In addition to the usual retailers, this also pops up occasionally at zulily, so I have included the link below. The new Step2 My First Snowman appears to be the Toddler toy of the season at the moment. First noticed yesterday in a zulily sale, it has been releasing sporadically throughout the past two days and swiftly selling out. Some of the appeal is the play beyond the holidays. Otherwise he is being compared to a Mr. Potato Head Snowman – and we all love and remember Mr. Potato Head. Finally the Step2 My First Snowman has lights and sound. His had lights up and he plays Jingle Bells, the 12 Days of Christmas and Jolly Old Saint Nick! Rounding out the new Step2 Holiday Toy offerings is the Step2 My First Gingerbread House. The Step2 My First Gingerbread House also has lights and sound. The wreath lights up and it plays First Noel, Deck the Halls and Up on the Rooftop! This one is hanging in stock, just a little bit longer than it’s buddies, but it is still selling out within hours of loading. Any toy selling out in September is likely to be very hard to find by November. If this is on your list, we recommend buying sooner rather than later! What other Toddler Advent Calendar and Holiday Toy Options are there? There are two Advent Calendars that are most appropriate for Babies and Toddlers – The Playmobil 1-2-3 Christmas on the Farm Advent Calendar and the Little People Advent Calendar. There will be a 2018 Vtech Go Go Smart Wheels Calendar for older toddlers (release date unknown). Paw Patrol may also be an option. Finally, there is a Little People Nativity set as well as a Lego Duplo Christmas set. Both get very popular later in the season and are prone to sell out. For the Little People Nativity Set, please note that there is more than one set. The Deluxe set here is the one that has lights and music. The cheaper set is smaller and does not. The Deluxe set is also available at Walmart here. We do keep an Amazon List here of popular Holiday Toys and our book recommendations! Be sure to check back often for updates! Previous Post Advent Calendars Your Kids Will Love! The Best Advent Calendars for Kids in 2018! Next Post Get your REDCards Ready! Target REDCard Holders Get an EXTRA 10% off an in-store purchase 9/16-9/22 only! Hurry! Blowfish Malibu Kids is on Zulily!!! Several of them have Mom matches! Both Noelle and I LOVE Blowfish sandals & sneakers! Stock up!